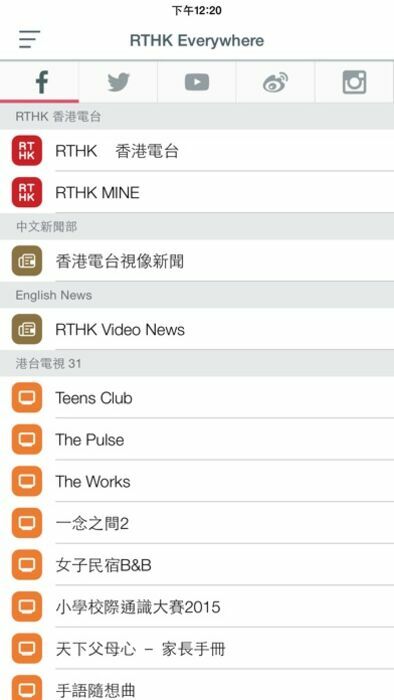 "RTHK On The Go" is developed by New Media Unit of Radio Television Hong Kong (RTHK). This app is providing Radio Live, Instant News and Podcasts all rolled into one! Enjoy handpicked RTHK fascinating programmes and activities on our website and mobile apps. 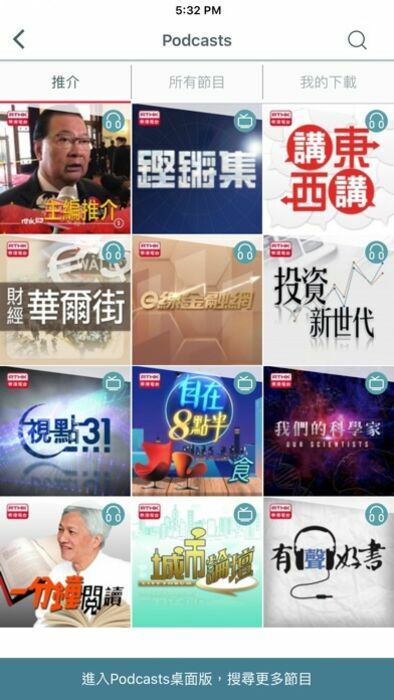 2) Latest News – put your finger on the pulse of what's happening around the world by RTHK latest news (text and photo). 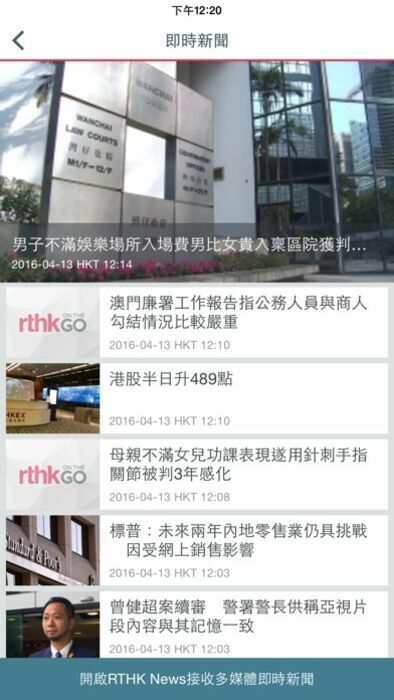 Connect to “RTHK News” for our multimedia news contents. Please note that the downloaded podcasts record would be cleared after updating the "RTHK On The Go" from old version to 2.0 or above. 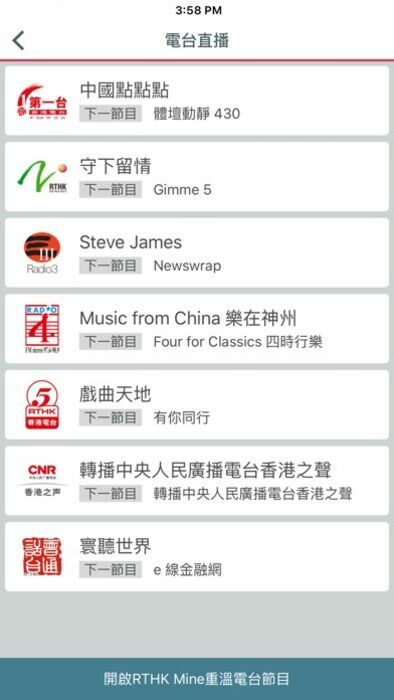 Users may download the available podcasts from the updated app or RTHK Podcast page. We apologize for any inconvenience caused. 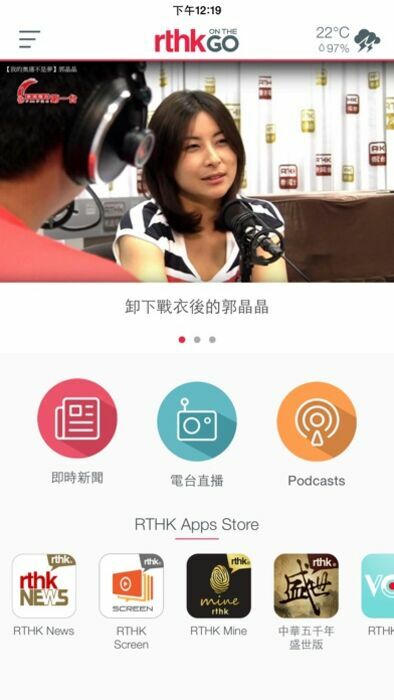 The "Podcasts" session of "RTHK On The Go" aims at providing the latest limited episodes of RTHK podcasts for users. For those who want to enjoy all (or more) episodes of podcasts, or make use of the key features of podcasts (subscription, auto-update of latest content, etc), please use 3rd-party RSS reader software / apps (such as Feedly, Podcast Addict, Podcast from iOS App Store), or "Live Bookmark" feature of Mozilla Firefox. These tools can help you manage / backup your podcast subscriptions and play the downloaded episodes. You can also transfer the downloaded media files to other mobile devices for playback or backup purpose.